About Us – Service Machine Shop Inc.
Service Machine Shop has been serving industry 45 years. While in the beginning making custom equipment for original equipment manufacturers, demand has turned S.M.S. to focus on rolls. S.M.S. began by making only textile rolls, but our expertise and equipment has led us into the automotive, wood handling, chemical, and other material handling uses of rolls. An ample supply of all types and sizes of tubing and accompanying roll materials enables us to make a roll with extreme high quality on a quick time frame. On the other hand, we are able to mass produce close tolerance rolls in high volumes for large OEM or textile requirements. Reworking rolls is also another area S.M.S. prides itself in. S.M.S. is not only large enough to serve industry’s largest requirements, but also small enough to understand the problems of equipment standing with a broken roll. Down time on equipment costs your plant money, and S.M.S. wants to bring that to a minimum. We have pick up and delivery service and if overtime is required, we will be happy to do so upon request. We do just about anything to a roller that can be done. With our knowledge and machinery we can turn the outside diameter, static balance, knurl, scroll, and polish rollers. 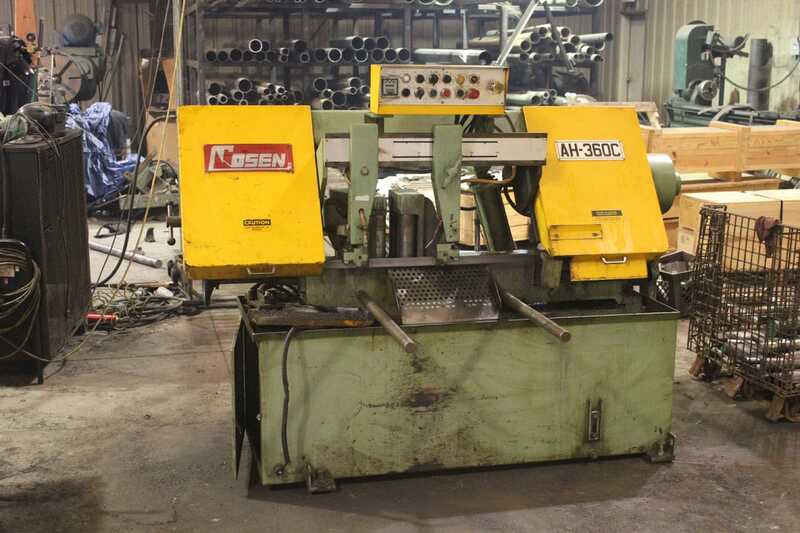 We fabricate rollers from stainless steel pipe, stainless steel textile grade tubing, aluminum, carbon steel pipe, electric round welded tubing, and drawn over mandrel tubing. We also receive excellent prices and services from roll covering facilities. For example, we make cores using the following coatings: rubber, teflon, bisonite, and epoxy. In other words, S.M.S. can supply your complete roll without extra work on our customer’s end. In addition to rollers, S.M.S. has excellent facilities to perform normal machining practices such as: gear and sprocket boring, keywaying shafts, smaller lathe work and various types of mill work. Also, S.M.S. 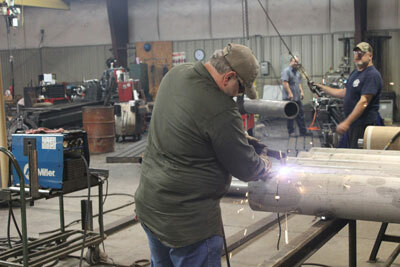 can fabricate equipment such as A-frames, holding tables, inspection tables, conveyors, loom take-ups and platforms. S.M.S. 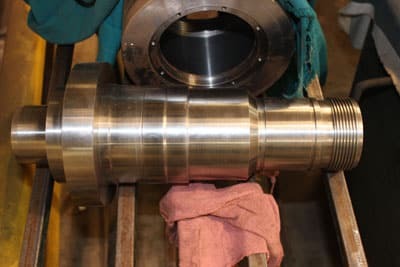 would welcome the opportunity to quote your facility some rolls or other work in the near future and would like to be your sole supplier of rolls and machine shop needs.